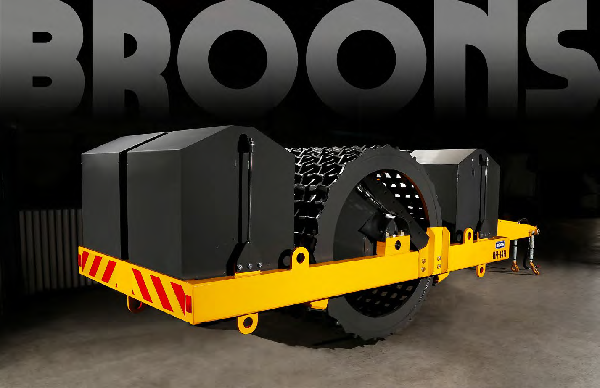 Grid Rollers are powering through a renaissance in Australia with Adelaide-based Broons leading the charge. Unlike the nation’s energy providers, Broons has cranked up performance with no increase in price! Incredibly effective at reducing oversize rock during rural road maintenance and construction for just a fraction of the price of crushing, using a Grid Roller makes perfect sense where in-situ material is readily available and trucking-in expensive crushed rock is not an option. 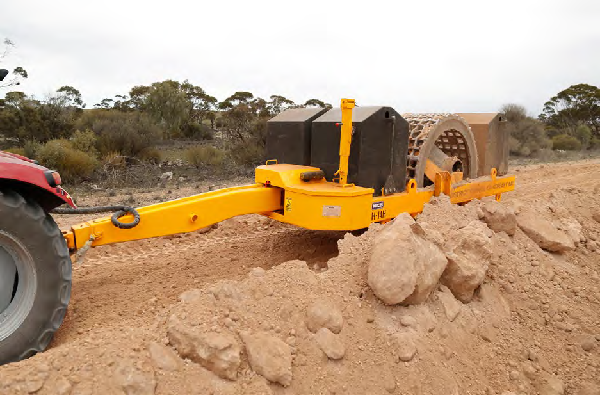 As Australia’s largest roller manufacturer, Broons’ legendary BH-14 Grid Roller is as popular now as it’s ever been. Towed at around 10kph, a 14 tonne Broons Grid Roller with specially cast grid rings fractures oversize rock up to 300mm minus producing a well graded nominal 40mm minus rubble. Ideal for fixing up ‘bony’ worn-out old pavements a Grid Roller is perfect for reworking oversize in-situ and saving on the importation of new material. Simply rip the old, worn-out pavement, grade into a windrow and run the Grid over the top – the more the runs the smaller the product created. When done, simply add water, spread the material and compact. The Grid is great for this too using its full14 tonnes to maximum effect. Even better, use one of Broons’ popular Combination Rollers to finish off for that perfect running surface on top. 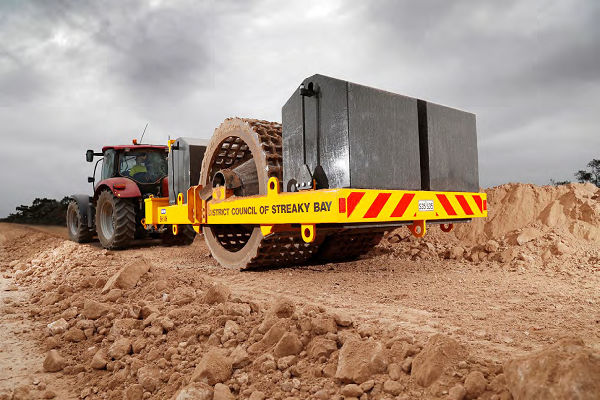 Streaky Bay District Council on South Australia’s Eyre Peninsula has just taken delivery of a brand new Broons BH14 Grid Roller with optional hydraulic offset drawbar. 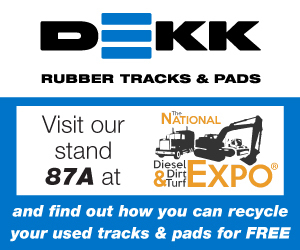 From the cab of the tractor, this unique feature enables the operator to manoeuvre the Grid Roller off-centre, keeping the tow tractor well away from the rocky windrow and minimised the risk of tyre damage. 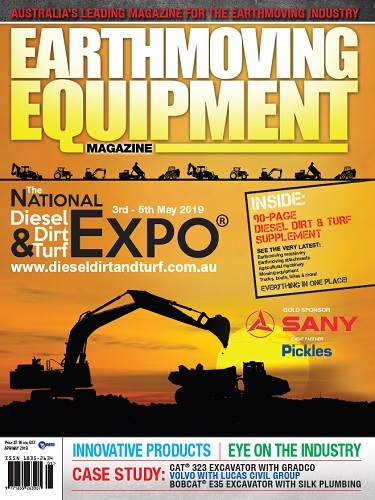 In addition, the operator has an improved ride and it allows the Grid Roller to work on the very edge of the formation without putting the tow tractor at risk of being damaged by overhanging trees and bushes. There are a number of ballasting options. Broons can leave the prefabricated steel ballast bins empty for the owner to fill and save on freight or they can be factory filled with concrete and capped off to give a stylish look. Adjustable cone scrapers restrict the build-up of dirt and the heavy duty external grid ring scrapers dislodge stubborn rocks from the basket weave casting. The Grid Roller concept harks back to the 1960s, but it’s the Gillman based engineering company, Broons, that has had the biggest influence on the development and refinement of these multipurpose rollers over the last 20 years. “Through finite element analysis, we are able to identify areas of high stress and reinforce the chassis in key fatigue areas,” said Stuart. “Our main axles are much stronger, better bearings, and improved protection for the oil seals ensures a trouble-free run from our Grid Rollers. The grid rings themselves get the most punishment with these heavy hitters of road construction and our well proven heat treated castings are superior in every regard. 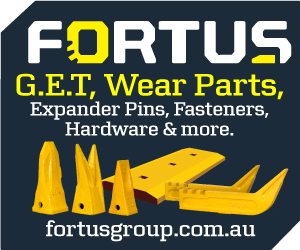 When you’re working in one of the harshest and most remote countries on earth you need robust plant and a Grid Roller from Broons will power on through when others roll over. Failure simply isn’t an option when plant is needed to construct essential outback roads or maintain haul roads on a mine. With an expected life of 20 + years the Broons Grid Roller is covered by an incredible 10 Year Structural Warranty – pretty impressive when you consider the heavy lifting these big rock breakers have to endure!